Ms. Cheryl Exline has cycled off the Board of Directors for the Schoenbaum Center. She has served as Chair, Vice Chair, and on the Administrative Finance Committee. 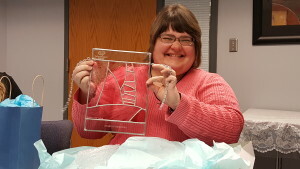 The Schoenbaum Center has benefited vastly from her knowledge and dedication to the organization. 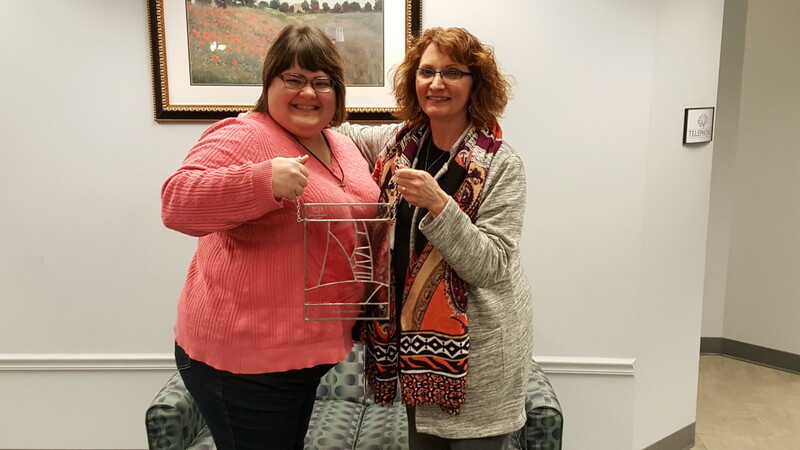 Our President & CEO, Loretta Jett Haddad gifted Cheryl with a beautiful piece of Stained-Glass that represents the mortgage burning ceremony on WV Day of 2007. We look forward to maintaining the friendship we have gained with Cheryl and truly appreciate all of her support!